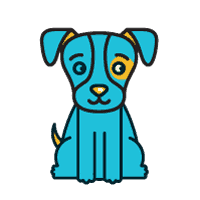 In honor of Adopt-a-Shelter-Dog Month, Karen Pryor Academy (KPA) is proud to announce the availability of four Zoe Shelter Scholarships to KPA’s Shelter Training & Enrichment course. The Zoe Shelter Scholarships are made possible through the generosity of Dr. Lisa White, DVM, founder of Veterinary Behavior Management Solutions in Cincinnati, Ohio. The scholarships are named in honor of Dr. White’s Rhodesian ridgeback, Zoe, who passed away from heart failure at the age of 10. Through these scholarships, Zoe’s memory will live on by helping shelters enrich the lives of the animals in their care, working to find the animals’ forever homes. “We are thrilled to continue partnering with Dr. White,” said KPA Associate Director Gretchen Carey. “The Shelter Training and Enrichment course has been invaluable in reducing the stress and enriching the lives of animals living in shelters. Through these scholarships, shelters will get the tools they need to improve animals’ well-being and promote adoption through positive reinforcement training." Together with Dr. White, Karen Pryor Academy will offer four scholarships to the KPA Shelter Training & Enrichment course, each valued at $249 (standard course tuition price). The Zoe Shelter Scholarship committee, in conjunction with Dr. White, will select four shelters that demonstrate a commitment to improving the training and enrichment of the animals in their care. Applications will be accepted until October 19, 2018. Visit the Zoe Shelter Scholarship website for application and details. Karen Pryor Academy for Animal Training & Behavior (KPA) offers positive reinforcement-based courses for both experienced and aspiring trainers. KPA offers ten all-online courses (Dog Trainer Foundations, Puppy Start Right for Instructors, Dog Sports Essentials, Smart Reinforcement, Shelter Training & Enrichment, Better Veterinary Visits, Canine Freestyle, Train Your Cat, Concept Training: Let’s Get Started, and Concept Training: Modifier Cues). Its flagship Dog Trainer Professional program is a combination of online learning and hands-on workshops. KPA is advancing the field of force-free training by certifying and promoting the next generation of skilled animal trainers and teachers. To learn more about Karen Pryor Academy courses, visit www.karenpryoracademy.com. To see an international list of KPA Certified Training Partners, visit https://www.karenpryoracademy.com/find-a-trainer. 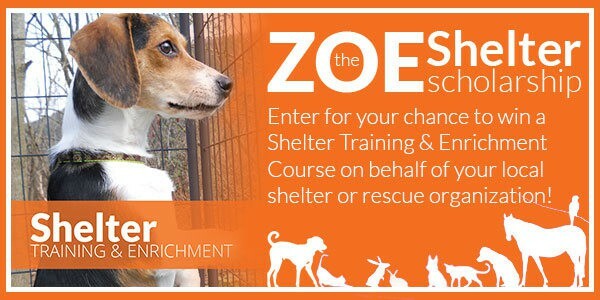 Enter for your chance to win a Shelter Training & Enrichment course.